Curator of experimental media art program. Projects: "Open archive", "Recollection space", "Embodied memory". Artist, participant of the international exhibition "Inside Out: Conceal and Reveal" at London Tate Modern Gallery (2006). Art curator, curator of the International video art and short film festival "VAU-Fest 2011"; coordinator, interpreter ("GogolFest" International contemporary art festival, "KROK" International animated film festival, etc.). 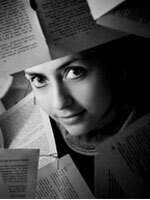 Author of scientific publications on media art and philosophy of silence in contemporary English literature and independent cinema, lecturer at Taras Shevchenko National University of Kyiv. She collaborates with 100x100=900 Project to organize the VIZII INTERNATIONAL FESTIVAL OF VISUAL CULTURE exhibit at: Exhibitions and events of the Vizii Festival will take place in the central museums and galleries in the city: Kiev City Art Gallery 'Lavra', Art Center 'Ya Gallery', 'Art Prichal', Modern Art Research Institute, 'Camera' Gallery, National Historical and Architectural Museum 'Kiev Fortress', Ivan Kavaleridze Museum, Dreams Museum, 'Kvartira 57' Gallery. 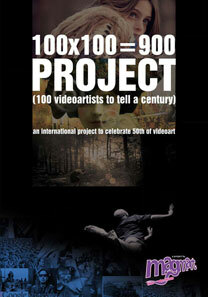 Screening of 100x100=900 Project will be held at National Historical and Architectural Museum 'Kiev Fortress'. 2 screenings each day (4 part in 2 days) - as a special project of the Festival.